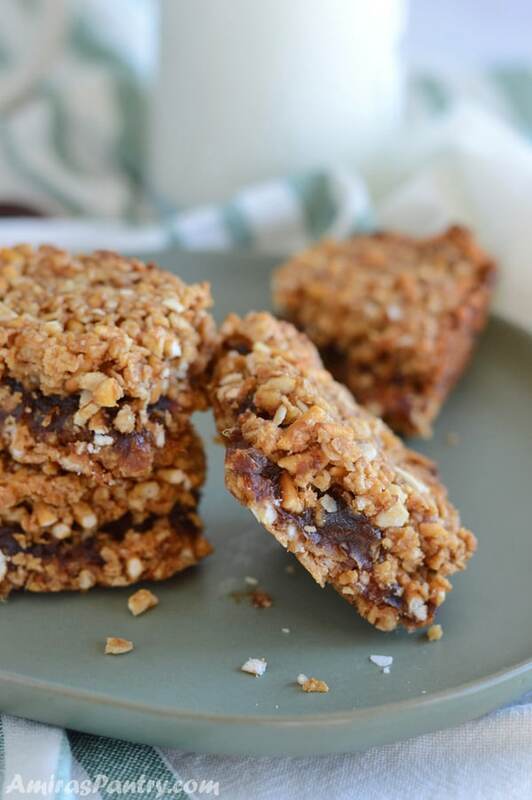 Breakfast squares loaded with sweet and salty flavors plus a crunch factor. 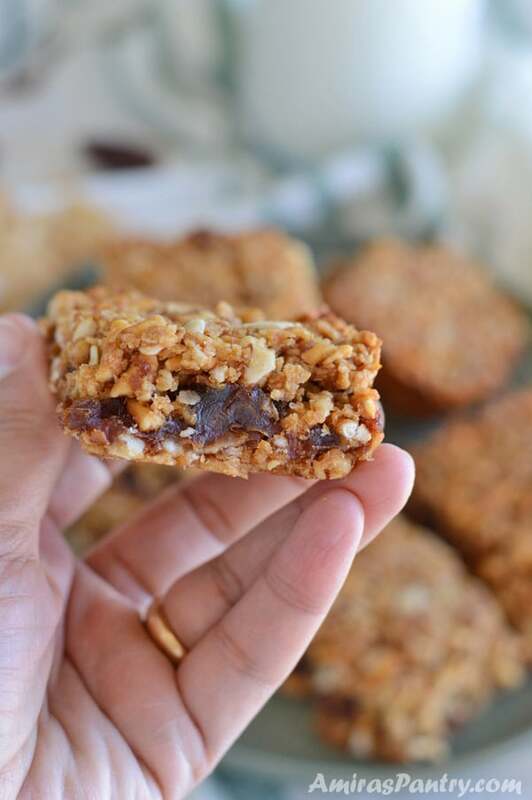 Sweet coconut, almonds, pretzels, whole grain flakes, oats and dates and honey and a whole lot of good things. This is the right start for any day, the start of something great. 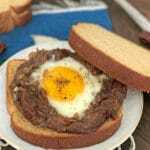 Because I see you, who is hungry in the morning and whose life is crazy right now, who has a hard time fixing breakfast (no matter how organized you are! ), who opens the fridge to grab a quick something to eat in the morning rush only to find NOTHING that seems good enough, who made 2018 resolutions to eat healthier but find yourself in the drive thru. Mornings are harsh in our home, with two teens, two adults and my cutie-pie, it is hard to fix breakfast that suits everyone. So I end up making eggs for this, grilled cheese for that and the list goes on. Do you have an idea how much it takes to customize breakfast for each one? Let me paint the picture here. It is Monday, or any day, morning and you woke up 10-15 minutes late. To your surprise, everyone else at home is still DEEPLY ASLEEP!. You go like crazy screaming like a police siren for everyone to get up, get dressed, brush their teeth and pack everything. BUT, someone is acting as if he/she is having the whole day to prepare to go out!!! One of my kids is a turtle slow, he can take up to 40 minutes just to go to the bathroom and put on his school uniform then head down for breakfast. I have to be there with him to rush him and in the meantime I have to be in the kitchen preparing the breakfast. So what usually happens is, we head out breakfast-less as we find out that we have only 3 minutes for breakfast . Although it breaks my heart to send my kids to school on an empty stomach, but life happens and this is the case in many mornings. Because of that moment, the busiest moment of the day, I am always looking for something that everyone will like and can be prepared ahead of time. This is not an easy job here as each one of my kids has his own idea of the perfect breakfast路. I ended up noticing that nobody says no to something sweet in the morning. Sweet treats awaken your senses, gives you an energy boost and makes your mouth feels happy. But seriously, donuts, muffins, cakes … and the like are not something to have everyday for breakfast! Sweet breakfast does not need to be sugar loaded, there is no need to go full blown piece-of-pie on me. All I needed was something naturally sweet, and it would be awesome if it is also nutritious and real food and energy-giving. 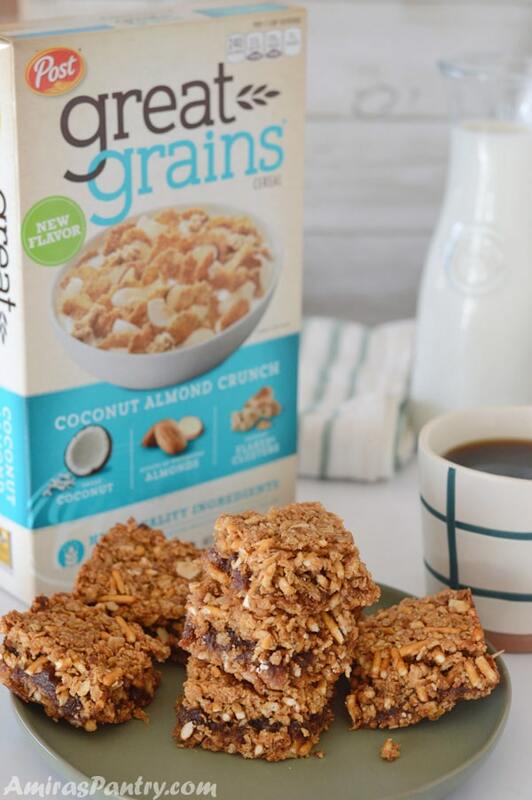 This Great Grains Coconut Almond Crunch has cracked the code and completed the puzzle with its rich mix of tastes, textures and hearty crunch. 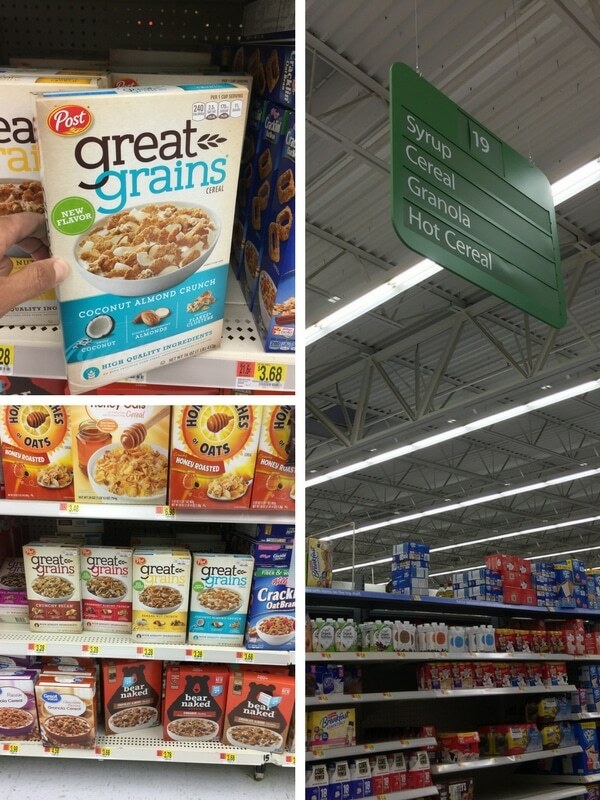 It can be easily spotted in the cereal aisle in your local Walmart store. 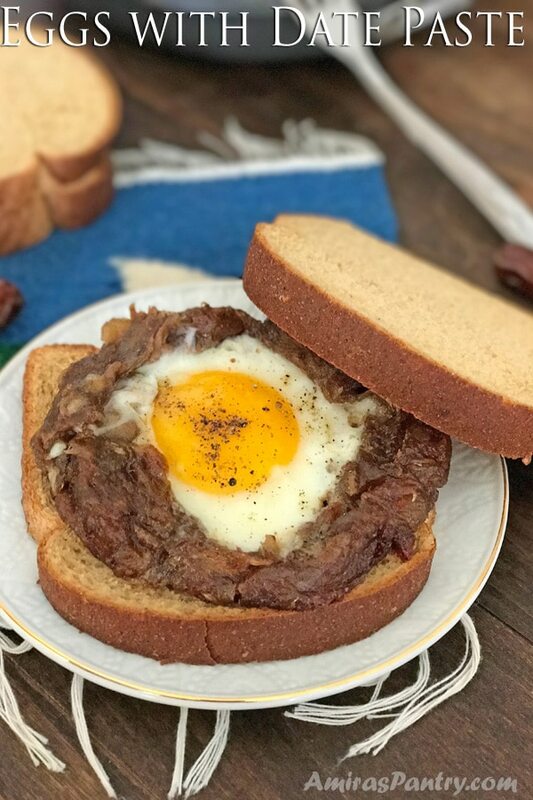 We’ll take this healthy beauty and make thick date paste/agwa off of it. 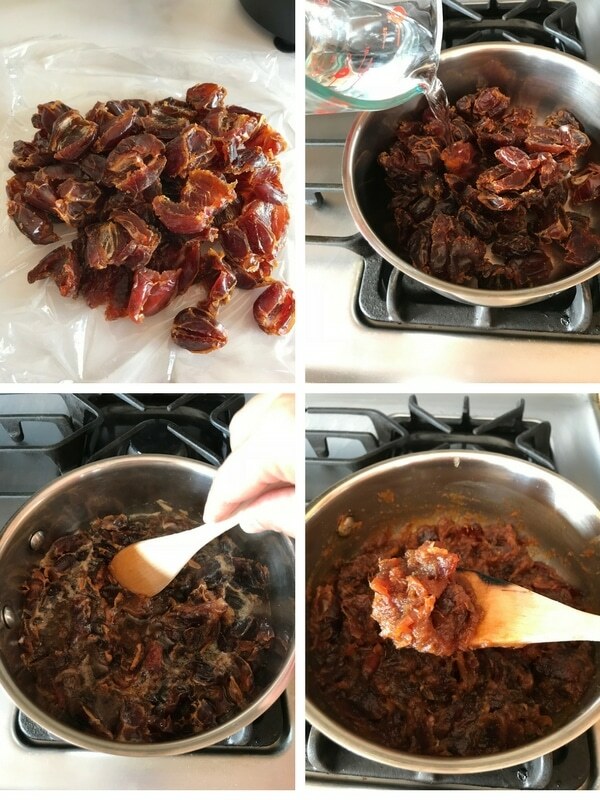 This time for simplicity I just added a little more than a cup of water to 16 oz of pitted dates and simmered for about 10 minutes until it soaked up all the water and turned into smooth lump. Set aside and let it cool before handling. For the most parts of our lives here in the US, we have a bag or more of pretzels in our pantry, so this is a good chance to give it a new life. 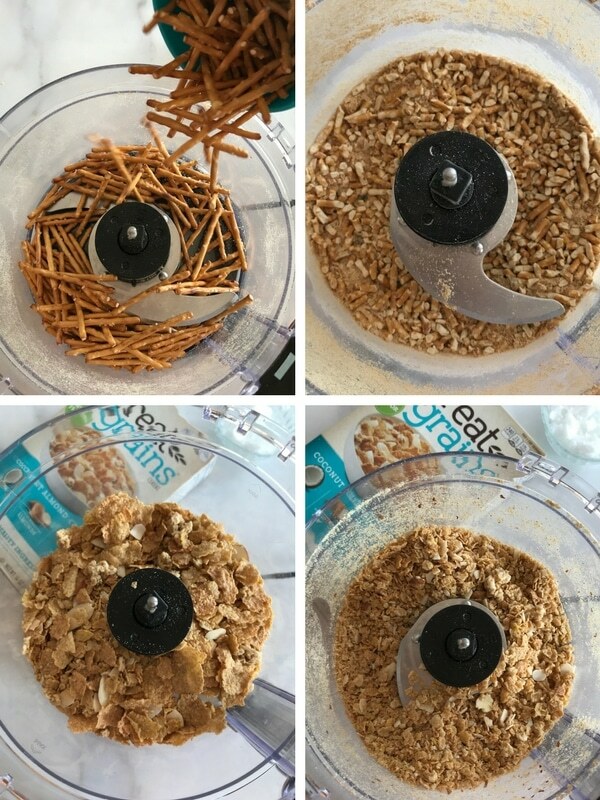 Pulse your pretzels and Great Grains Coconut Almond Crunch in the food processor to get a crushed texture that would be between completely ground and whole. Try not to overdo it or we will lose the stunning texture of the finished squares. Let’s mix all the good things together. 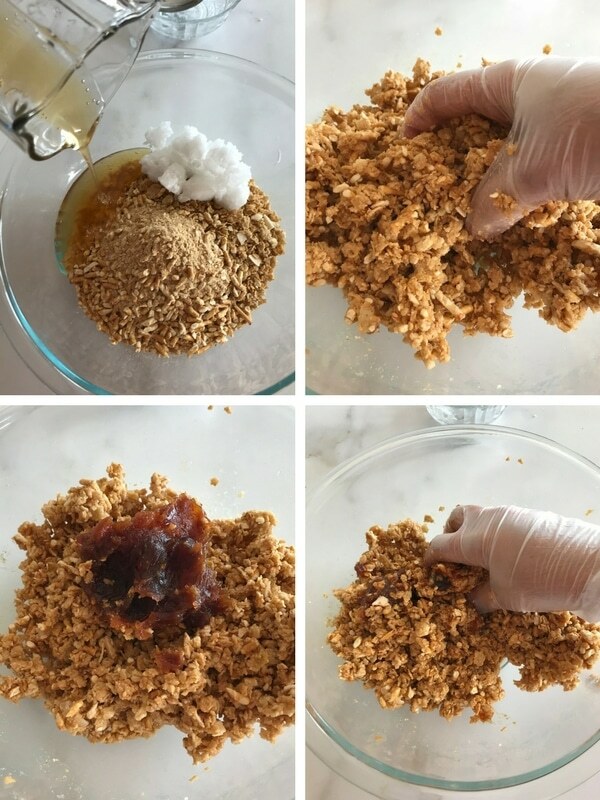 I like mixing all the crumbs, coconut oil and honey first. This allows the coconut oil to incorporate well with the grains we have. Next I add some of the date paste and mix again. The mixture will have a naturally delicious smell that will lure you to grab a spoon and start eating! Spread the mixture and press hard to create the base for the squares. 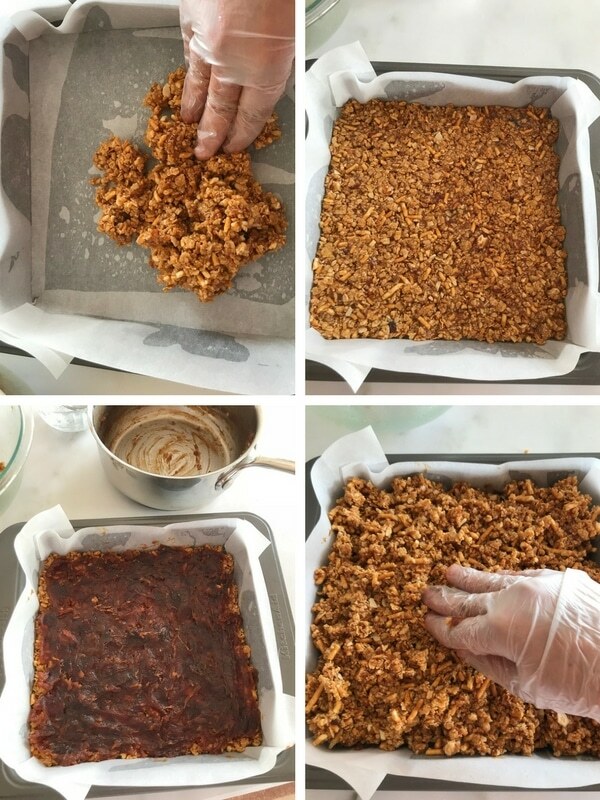 Make sure to line the baking pan with parchment paper so it will be easy to take the squares out when it is done. Spread the remaining date paste evenly over then top that with what is left of the mixture . Press everything tightly together and bake for 25-30 minutes in a 350F oven to get everything to stick together and for the flavors to get to know each other better. After it browns a little bit in the oven, take it out and let it cool completely. You might also chill in the fridge before cutting into squares. 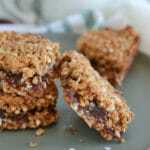 Now treat yo self and your loved ones to a square in the morning with a cup of milk or coffee for a quick breakfast.Here is a good place to start; make a double batch of these, put half in the freezer as this keeps very well for a few weeks, half in the fridge for the week to come to ensure you have something healthy to start the day right, because the start is what matters most. 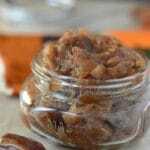 It is very filling, sweet and salty, has dates  and gives a big boost to awaken lazy bodies in the morning. Don’t forget to head to ibotta to earn cashback on your Great Grains purchase! A great start for any day, packed full with nutrients, flavors and textures. 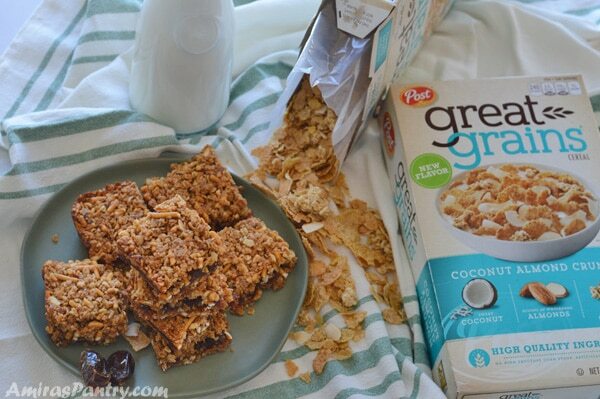 6 cups of Great Grains Coconut Almond Crunch. 1 cup date paste from the date layer that we will make. 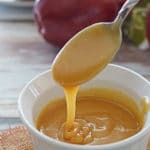 In a sauce pan over very low flame, simmer dates with water for 5 to 10 minutes or until water is totally absorbed, set aside to cool down. Pulse both the pretzels and the Great Grains Coconut Almond Crunch separately in the food processor until they have a texture that is between whole and finely ground. In a deep bowl, add both of the pretzels and the grain cereal with coconut oil and honey, mix well with hands. Add 1 cup of the date paste we previously prepared and mix again. Line a 9x9 brownie pan with parchment paper. Press half of the pretzel/grain mixture in the bottom to form the base of the squares. Spread the date paste on top evenly then top that with the remaining pretzels/grain mixture. Press everything tightly together and bake in the oven until it browns nicely on top 25-30 minutes. It is also recommended to chill in the fridge for a couple of hours more before cutting for easier handling. Store leftover in the fridge, keeps well in freezer for few weeks. Hi, Amira, when I lived in Egypt from 2009-2013, I remember eating lots of dats and date filled cookies too. I think they were called Mamdouh but I’m not sure. Egyptian food is amazing; really, I miss Alexandria so much. Thanks Donna, I guess you mean Maamoul? Anyways, I hope you’ve liked your stay in Egypt. I, too, miss Alex. 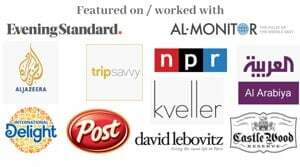 If there is any recipe you’ve loved and would like to recreate do not hesitate to tell me, I would love to help. Amira I am so glad I found you- I too love to cook for my family but seems always in a rush!! I would love to see middle eastern dishes cooked using crockpot- have you had experience using it with successful results?? I had success with lentil soup and stuffed grape leaves and Fuul mdames in the slow cooker.. any other?? Dina, thank you for your sweet comment I appreciate it. For the slow cooker, I did all sorts of mahshi in it and it came out beautiful.. an example for that is my slow cooker stuffed onions, also I’ve had much success with all sorts of stews and made a kawaj recipe in the slow cooker as well. I will try to think if there is any more. 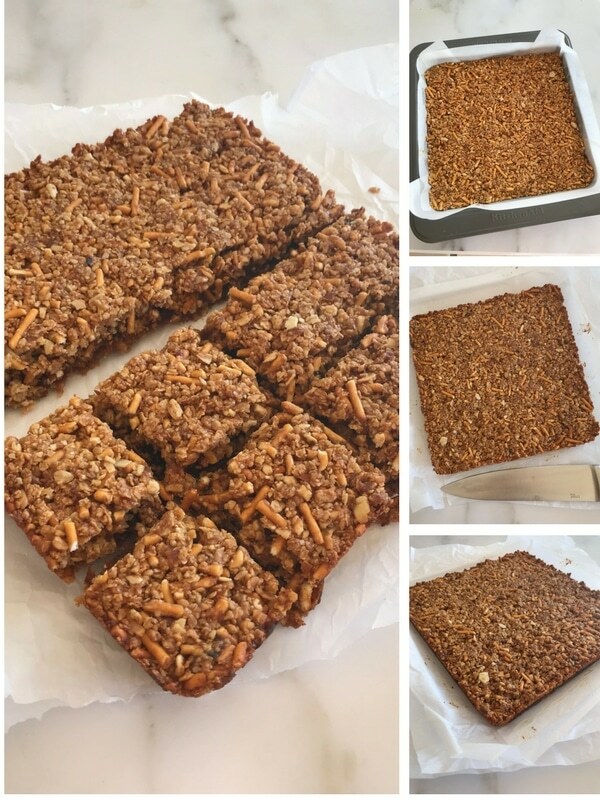 Hi Amira – these look delicious AND they reminded me that date squares, which used to be sold as a boxed mix, used to be super popular when I was a kind. And – I also had a child who was just a SLUG in the morning. Boy – would he get yelled at. I now realize I should’ve just given him more time… but it’s always easy to have perceived wisdom decades later. Thanks Cecile for your sweet words and for the pinterest share. 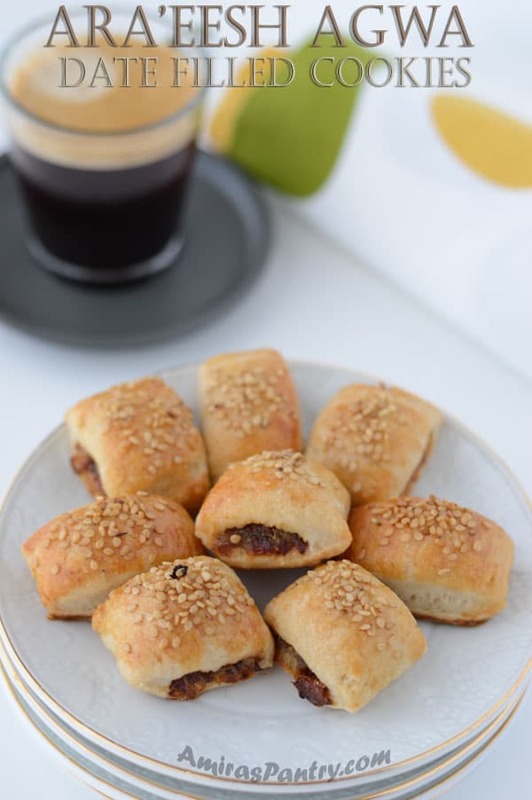 In Egypt we used to have a cookies, like this Newman’s fig filled cookies, that is date filled and I used to like them a lot. I do not know if they are still sold there or not. I will try to give my slug more time though hehehehe.